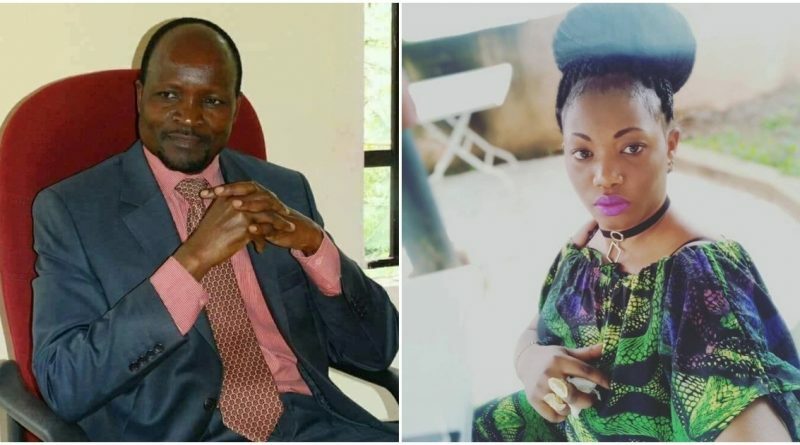 After weeks of controversies and speculations, Migori Governor, Okoth Obado, has finally been arrested following the murder of former Rongo University student, Sharon Otieno. During the Friday, September 21st morning hours, the governor was grilled at the Directorate of Criminal Investigation headquarters on Kiambu Road for a couple of hours. Days earlier, detectives and other government scientists confirmed that Governor Obado was the father of the unborn baby in Sharon Otieno’s womb. Mr. Obado admitted himself that he was indeed the farther of the baby in Sharon’s womb at the time of her death. The DNA confirmation by the detectives put the governor at the core of the investigations of former Rongo University student’s abduction and murder. While Governor Obado has admitted being the father of the unborn baby, he still insists that he is innocent and wasn’t involved in the killing of Sharon Otieno. According to detectives, Sharon was raped and stabbed eight times in the stomach, which then led to her death. The fetus also died in the event of the multiple stabbing. Sharon was seven months pregnant at the time of her death, and she was expected to give birth to a baby boy. Used condoms were found at the scene of Sharon’s murder. Her body was also found lying at the same scene with bruises all over and stab injuries around the abdomen. Last week, Mr. Obado recorded a statement linked to Sharon’s murder in Kisumu. He is expected to record another statement in Nairobi, along with the wife, Hellen Obado. It’s reported that Mr. Obado will be arraigned in court on Monday, September 24th. Mrs. Obado has been another person of interest in the recent investigation of Sharon’s abduction and murder. Suspects mentioned close associates of Hellen Obado in the dreadful plan to kill the former Rongo University student. Other reports claimed that the car, which was used to carry Sharon Otieno and Nation journalist, Barack Oduor on the night of her murder, was linked to Hellen Obado. Nonetheless, the police have postponed the interrogation of Hellen Obado as they give time for the investigators to collect more information and evidence from the suspects. The suspects are already in custody. Some of the suspects that are currently in custody include Governor Okoth Obado’s PA, Michael Oyamo, his bodyguard, Elvis Omondi, and a Migori County Clerk, Caspal Obiero. During the abduction, Barack Oduor supposedly jumped out of the moving vehicle, where he got help from the residents of that area. At some point, Kenyans and other prominent figures questioned Barack Oduor’s account and how he escaped when two men in the car sandwiched he and Sharon. As of now, the Nation journalist has not been in the list of the suspects. Even after days following the death of the former RongoUniversity student, her family has insisted that they will not bury their daughter until the killers serve justice for the inhumane act. Nonetheless, the fetus was buried a week ago at Sharon’s grandfather’s home.